She was a gorgeous swimsuit model. He was a charming Greek sailor. They met on a cruise in November of 1997 and soon thereafter began a clandestine love affair. 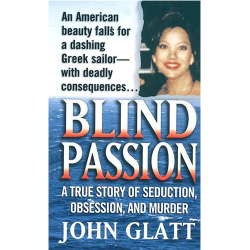 Little more than a year later, thirty-one-year-old Julie Scully left her millionaire ex-husband and three-year-old daughter behind, and moved to Greece to be with twenty-four-year-old George Skiadopoulos. But there was trouble in paradise. Julie, tired of Skiadopoulos’ jealous and controlling nature, and badly missing her young daughter, decided to return to the States. Skiadopoulos wouldn’t have it. When she told him of her plans to leave-and take her $600,000 divorce settlement back with her- Skiadopoulos took Julie to a remote area and strangled her to death. Then, to cover up his deed, her burned her lifeless body and tried to stuff the charred corpse into a suitcase. When it wouldn’t fit, Skiadopoulos delivered the final blow-he chopped off her head and tossed it into the Aegean Sea.